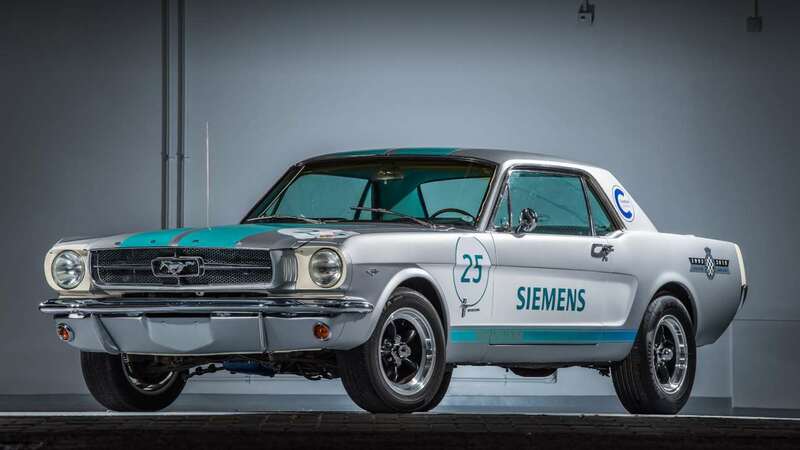 Goodwood has announced a brand new novelty to be shown off for its Festival of Speed: a 1965 Ford Mustang that has been modified to run the course all on its own. 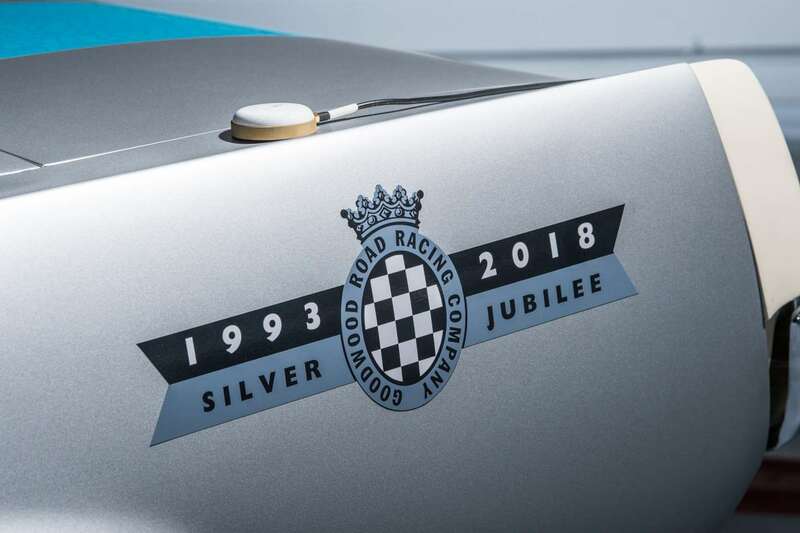 The car was created as part of a partnership between industrial conglomerate Siemens and England's Cranfield University and is ready to drive Goodwood's 1.2-mile track on July 12. This is actually one of two vehicles with autonomous tech making their debut at the festival, the other being a Roborace driverless car. Apart from its sponsorship decals and a set of racing stripes that appear to be composed of binary code, the race car appears to be just a standard first-generation Mustang, but underneath the surface are a suite of sensors, servos, and a GPS tracker that the original car definitely didn't have. It carries the factory 289 cubic inch V-8 and three-speed automatic gearbox, so a record-setting time is unlikely. One of the main goals of this build was to add modifications that didn't take anything away from the stock car, so a simple flip of a switch will allow the Mustang to be driven manually like any other classic. For the Mustang's hill climb run, Cranfield engineering professor James Brighton will be in the driver's seat. His job is to watch the car do its thing, and be ready to quickly take the controls in case the system gets choked up. Depending on track conditions, the Mustang will be taking the curves "in excess of 40 mph." Once again, not a record-setter. Note that this car has been specifically programmed to run the Goodwood hill climb with no traffic, a much easier task than navigating busy public roads. 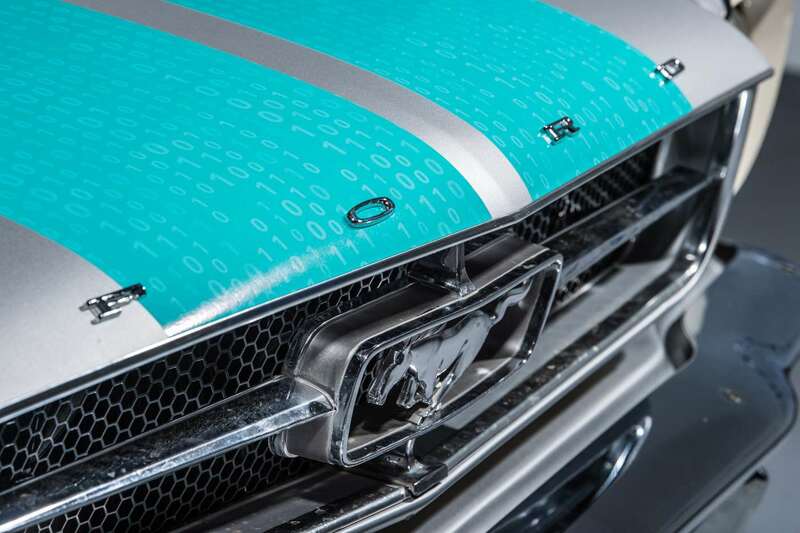 While it'll be a fun exhibition for festival attendees, the Mustang's performance on Thursday won't necessarily reflect the semi-autonomous tech currently being developed by companies like GM and Waymo. Update: The Siemens Mustang has made its run, and footage shows the car sticking to its equine roots by trying to eat the bales of hay that line the Goodwood track. It's clear from this performance that the autonomous Mustang still needs some time to get dialed in. The car takes its dive around the 27:30 mark in this video.